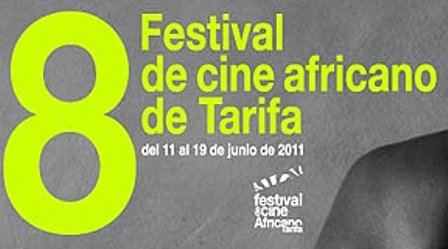 TARIFA, June 6, 2011/African Press Organization (APO)/ — 8th African Film Festival of Tarifa presents between 11th and 19th of June 148 movies from 23 African countries, which compete for 8 awards endowed with 46 500 euros. One of the biggest European festival of African cinema welcomes this year over 200 African filmmakers including legendary African directors Abderrahmane Sissako and Moustapha Alassane and focuses among others on African Diaspore in Latin America, the role of cinema in recent revolutions in Tunis and Egypt or restrospective of Congolese cinematography. Festival is accompanied by 3rd Africa Produce Forum, where 10 African filmmakers compete with their projects to get funding from European producers, while 4th Photoafrica competition offers to African photographers 3 000 euros in prize money. Festival, which attracts every year over ten thousands of film fans, takes place on the southernmost tip of Spanish coast only 14 km from Morocco across the Strait of Gibraltar. Feature-length fiction movies (The African Dream section), documentaries (On the Other Side of the Strait section) and short films (Africa in Short section) compete for 8 awards endowed with 46 500 euros. There are awards for the best feature-length movie (15 000 euros), direction (10 000 euros),actor and actress (1 500 euros each), documentary (10 000 euros), short movie (2 000 euros), short movie audiovisual creation (1 500 euros) and Audience Award for the best feature length movie (5 000 euro). There are 3 non-competitive sections of the festival – Open Screen (classics of African cinema, film adaptations of African literature…), Africa Rhytm (films dedicated to African music and dance), AnimAfrica (African short-length animation films). Retrospective brings 4 sections focused on: Cinema and censorship / Cinema and democracy? (the case of Tunis and Egypt), Cinema of RD Congo (retrospective of Congolese cinematography from 60´s till the present), selection of movies regarding African Diaspore in Latin America and Carte Blanche of FIDADOC, selection of the films from Festival of documentary movies in Moroccan Agadir. Ten African film directors will be pitching their new film projects at the 3rd Africa Produce Co-Production Forum to Spanish film producers and TV commissioning editors including representatives of Al-Jazeera Documentary Channel. Apart from that there are 3 guest projects to enrich the forum by their experiences: Asube (feature length project), Richard Jordan, Spain, Citizens Without Borders (feature-length project), Lexy Uyi Osunde, Nigeria/Spain, Jeanne d’Arc Masriya (documentary), Iman Kamel, Egypt. 25 photographers from 11 African countries compete with their works in finale of 4th Photoafrica contest, which offers €3,000 in prize money through 3 awards and the topic of this year is “Urban Space”. The exhibiton of altogether 27 large format photographs will be inaugurated and installed outdoors in Tarifa before and through the festival and after its closure will be travelling the whole year through Spanish and African cities. 25 photographers competing at 4th Photoafrica: Abdelmohcine Nakari (Morroco), Aboubacar Traore (Mali), Adolphus Opara (Nigeria), Djibril Drame (Senegal), Georges Senga (RDC), James Muriuki (Kenya, Hlompho Letsielo, Lesotho, Resta Nyamwanza (Zimbabwe), Mário Macilau (Mozambique), Marwen Trabelsi (Tunis), Mimi Cherono (Kenya) and 13 photographers from South Africa: Noncedo Charmaine Mathibela, Roanne Sutcliffe, Anthony Purnell, Bianca Kerstein Vinay, Cendyl Charlton, Chandre Busschau, Costas Christodoulou, David Kutlwano Moagi, Davina Gokool, Hayden Brawn, Ihsaan Haffejee, Jessica MacLeod, Kristi Bailey.